June seems to be a very popular month for gardening holidays, as this is the third such post I’ve written in the past few days – June 3rd-9th Is National Garden Week and June 6th Is National Gardening Exercise Day being the first two. It may not seem like it on the surface, but National Weed Your Garden Day is a very important day. 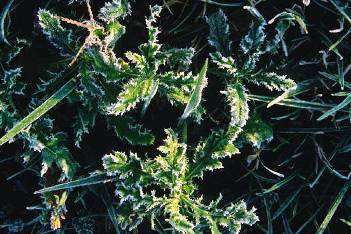 Weeds can be deadly to your garden, your pets, as well as you and your family. Even if they’re not harmful or poisonous, weeds are simply an eyesore and have no place in a well-tended garden. 1. Rid your soil of weeds by letting them grow about an inch before uprooting them from wet soil. This will help ensure complete removal of the weed from the root level, stunting further growth. 2. Lightly spraying the area with garlic water or neem water will help keep the soil disease and weed free. 3. To tackle the weeds found in your lawn, spray the area with soap water and vinegar or add rock salt to the sod. 4. Mulch your garden beds and paths to help prevent the growth of weeds. According to HortMag.com, the best tools for weeding fall into two categories – long handled and short handled. Long handled tools are used from a standing position in larger areas, while short handled tools work best when on your knees in small closely-planted areas. – hori-hori knife: sharp-bladed knife originally used by bonsai enthusiasts in Japan to collect specimens from stony mountain soil. Also useful for transplanting, digging and pruning. – onion hoe (hand hoe, rock garden hoe): a short-handled version of a draw hoe. Used for precision weeding between closely grown plants. – stirrup hoe (Dutch hoe, scuffle hoe): has a stirrup-like head that is sharp on both edges. It cuts weeding time because it works in a push-pull motion, covering a lot of ground quickly. – collinear hoe: has a long and narrow rectangular blade that sweeps the soil, something like a razor blade. Happy National Weed Your Garden Day! Do you have any weeding tips? We’d love you to share them in the comments section below! This entry was posted on Tuesday, May 29th, 2012 at 6:47 AM	and is filed under Misc.. Both comments and pings are currently closed.